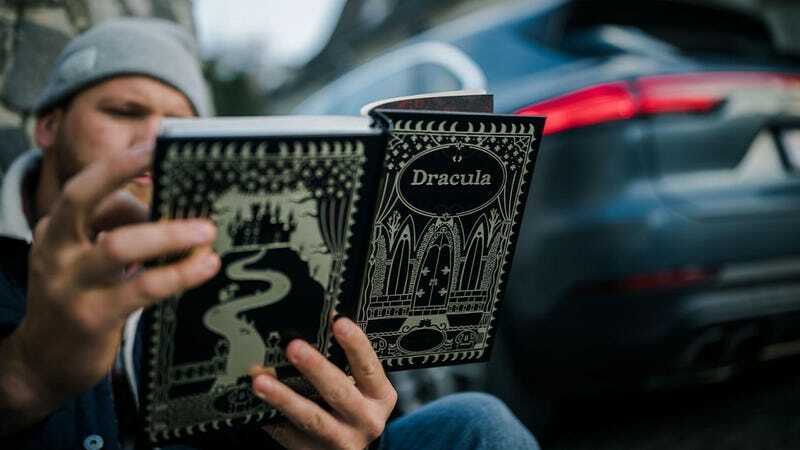 Porsche Asks Important Question: Vampires Real? I know that Halloween is over, but I came across this press release from Porsche during a hunt for news this afternoon and I just needed to share because it is simply too over-the-top for me not to. In short, Porsche took a travel blogger vampire hunting. The release itself is tagged under “Sport & Lifestyle,” so I typically would not have bothered clicking on it, but the headline is what grabbed me: “Trick or Speed: On Dracula’s Trail.” For this spooooooooky endeavor, Porsche invited some travel blogger guy named Sebastian Canaves to Romanian Transylvania (which is just Romania) in an attempt to retrace the steps of, uh, Dracula. Who is a fictional character. From a book of fiction. I haven’t read Bram Stoker’s Dracula yet, but apparently it was inspired by a Wallachian prince named Vlad III from the 15th century. He was also known as Drăculea, which could mean “Son of the Dragon” or “Son of the Devil.” This is the guy Porsche wants to track down. Bran Castle is marked on an old map. Is that where the Prince of Darkness calls home? Sebastian is determined to follow the trail. They stop to take this photo. Snagov Monastery stands on an island in a lake with the same name, and this is where Vlad III – Drăculea, Son of the Dragon – should be found. Nervously, Sebastian enters the opulently decorated burial chapel. On the floor, an inconspicuous stone slab bears an image of Vlad III. Is this the end of the journey on Dracula’s trail? For a long time it was quite certain that the Prince’s remains were interred here; however, when researchers opened the grave in 1931, they found it was empty. Does that mean Dracula is still on the prowl? Truly, Porsche is asking the right questions. If Vlad’s body wasn’t where people thought it would be, does that mean he’s up and about, walking around, avoiding garlicky foods and drinking the blood of others? This is the only logical conclusion for Porsche, the car company, to come to. Are vampires real? My sources say that, uh, nevermind.